General Characteristics = Heartwood pink to pink- or red brown; sapwood 2 to 3 in. wide, whitish or light pink, clearly demarcated. Texture fine to medium; grain generally straight; lustrous; sometimes with an attractive moire figure. Liable to stain in contact with iron when damp. Texture = Fine even texture with good natural luster. Color = Heartwood pink or reddish brown, sometimes with streaks of mild color variation. 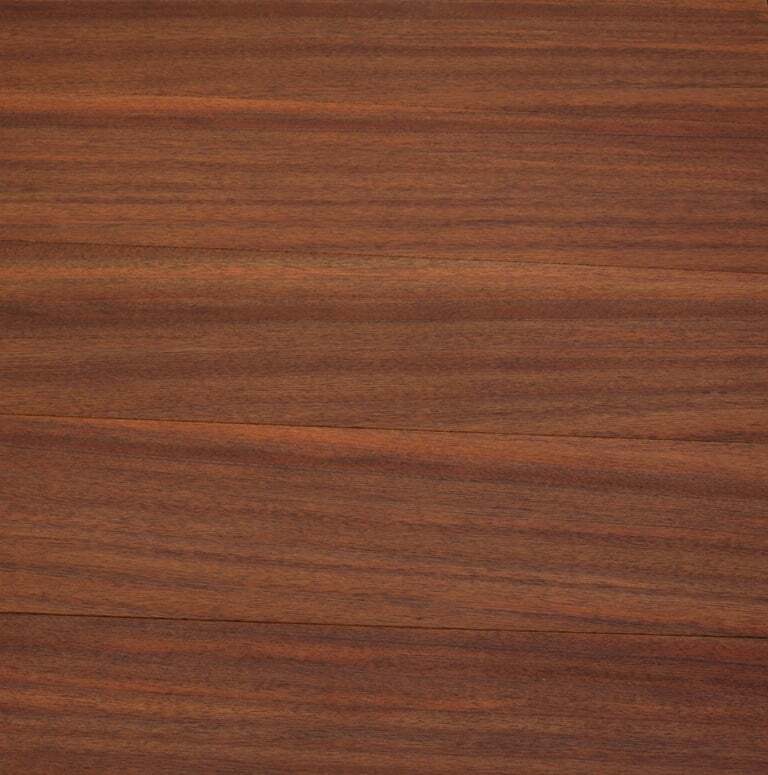 Yellowish sapwood can be two to three inches wide, and is clearly demarcated from the heartwood. Figured grain patterns (such as mottled or curly) are a common occurrence.